Day-trippers and thru-hikers alike will be glad they brought a map on the Appalachian Trail. 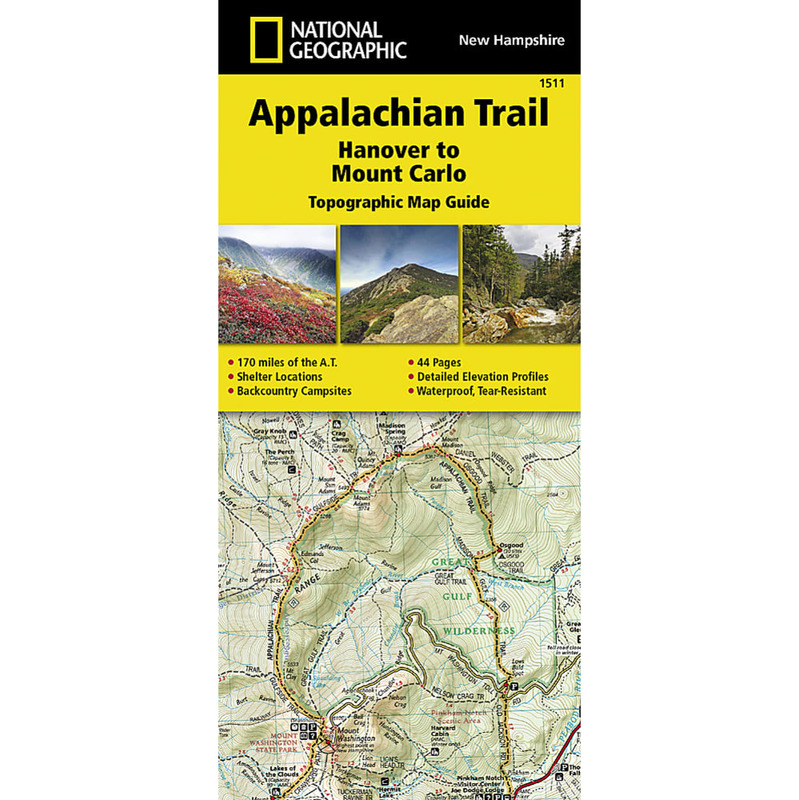 This map covers the New Hampshire section of the trail: Hanover to Mount Carlo. With long stretches above the tree line and the possibility of snow any month of the year, this map is a must.